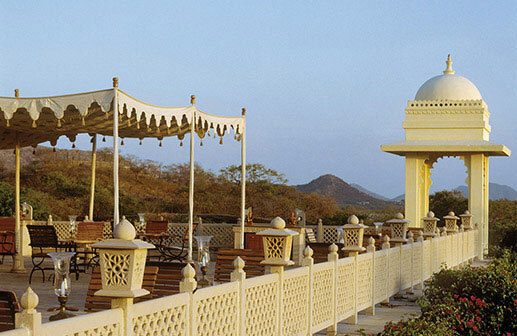 For an unforgettable dining experience beside sensational views of Udaipur’s Lake Pichola and the Aravalli range, we recommend The Terrace, our al fresco restaurant. The Terrace serves authentic vegetarian and non-vegetarian Rajasthani thalis. A thali is a meal made up of a range of dishes specially composed to provide complimentary flavours and textures. Our thalis are expertly designed by the chefs at Trident, Udaipur, who would be happy to tailor spice levels to suit your palate. In the warm evening air, open to the stars and furnished with candlelit tables, The Terrace is a lovely setting for an intimate dinner with the one you love, a relaxed evening meal with family, or a special business dinner with clients. The Terrace is open from 7pm to 11pm, for evening dining. 7 p.m. to 11.00 p.m.
A vegetarian delight from Awadh, Dahi ke Kebab, is a special recommendation when you dine with us. Crispy on the outside but soft and succulent in the centre, these delights provide a delicious mix of flavour and texture. Inspired by the traditional Indian custom of serving a selection of dishes together, our special Thali features delicacies from Rajasthan like Gatta Curry and Lal Maas in one single platter, accompanied by cumin flavoured butter milk. A dish that was a favourite with Rajput warriors, Lal Maas is a delicious curry with lamb simmered with Mathania chilies, curd and finally smoked with clove.